NORTH ATTLEBORO, Mass. – The North Attleboro offense has been tough to quiet all season, and that was again the case for the Milford Hawks on Wednesday afternoon at Community Field. The Red Rocketeers used a pair of home runs, a grand slam by junior Brendan McHugh and a solo shot by senior captain Zach DeMattio, to beat the Hawks 5-1. 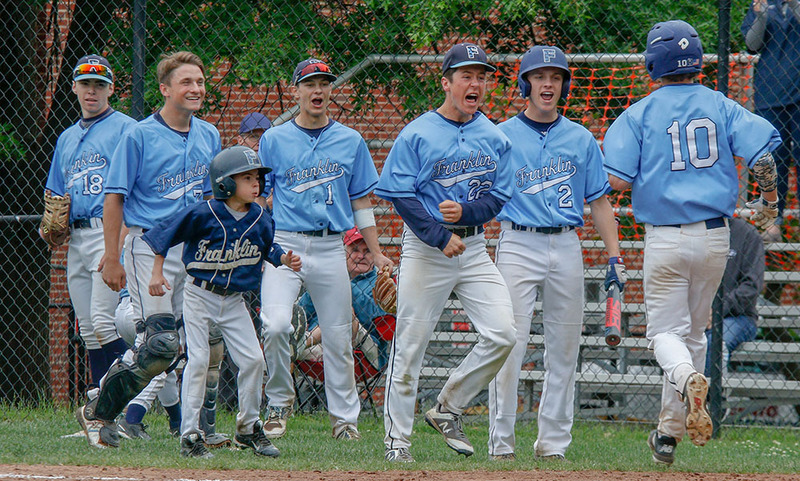 McHugh’s grand slam was set up by three consecutive two-out singles by seniors Nolan Buckley and Aidan Harding and junior Shawn Watters. McHugh’s shot hit the bleachers in left field, and after a long discussion between the umpires and two coaches, was ruled a home run. The very next inning, DeMattio led off with a solo shot, also into the left field bleachers, for his second home run of the season. 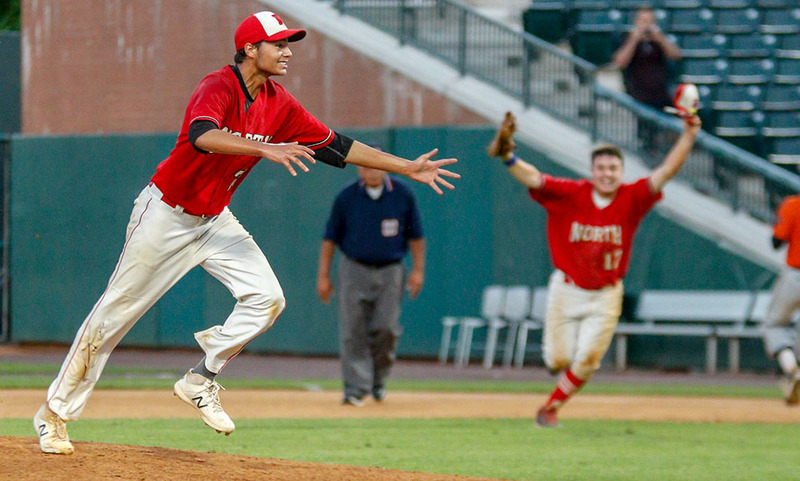 The 5-0 lead was all North needed, especially with junior Matt Wanless on the mound. Wanless pitched six innings, striking out three batters while allowing just one run. 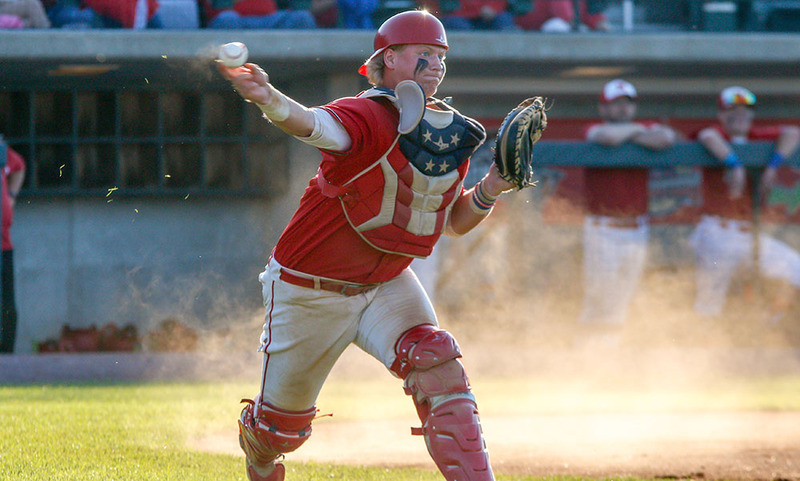 Milford’s lone run came during a sixth-inning rally. 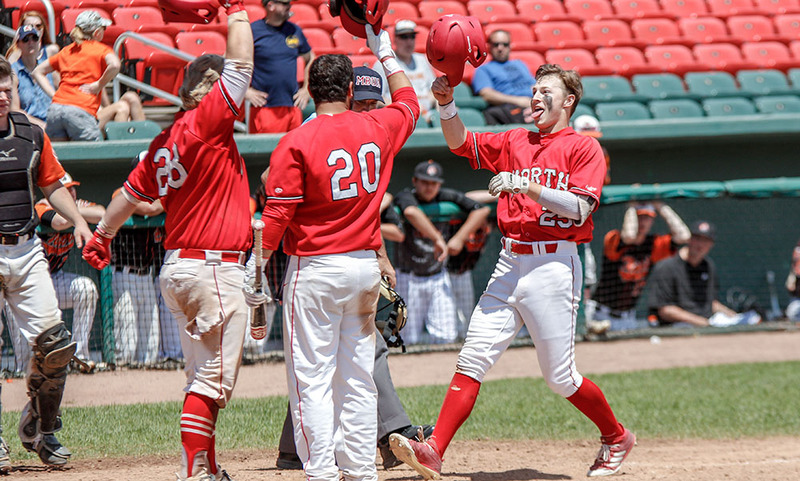 After a single and two-out walk, Cameron Soloman’s base hit scored Matt Swanson, but North Attleboro catcher Todd Robinson caught the Hawks trying to advance to third, which ended the inning. Wanless was able to avoid damage from the other Milford rallies. He worked out of a bases-loaded jam in the third, along with an early threat when Milford put runners on second and third in the first inning. 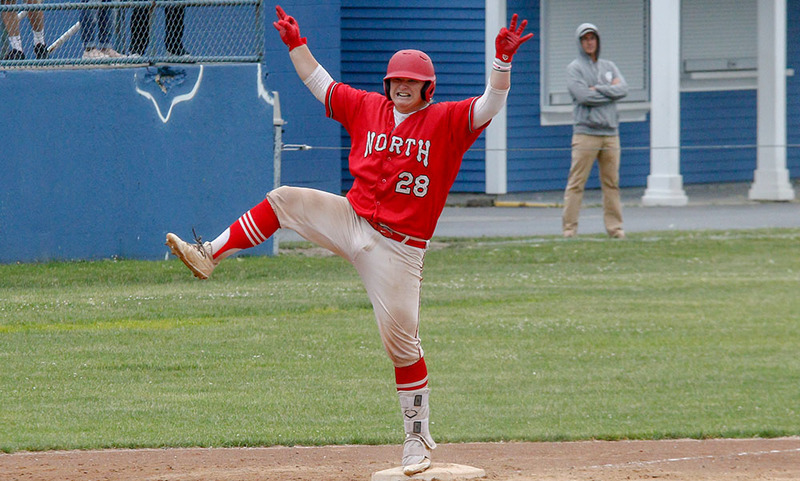 North Attleboro baseball (13-2 Hockomock, 17-2 overall) will travel to Taunton on Thursday for the final game of their regular season. Milford finishes the season 5-15 overall and 4-12 in Hockomock play.